I was directed to this article. 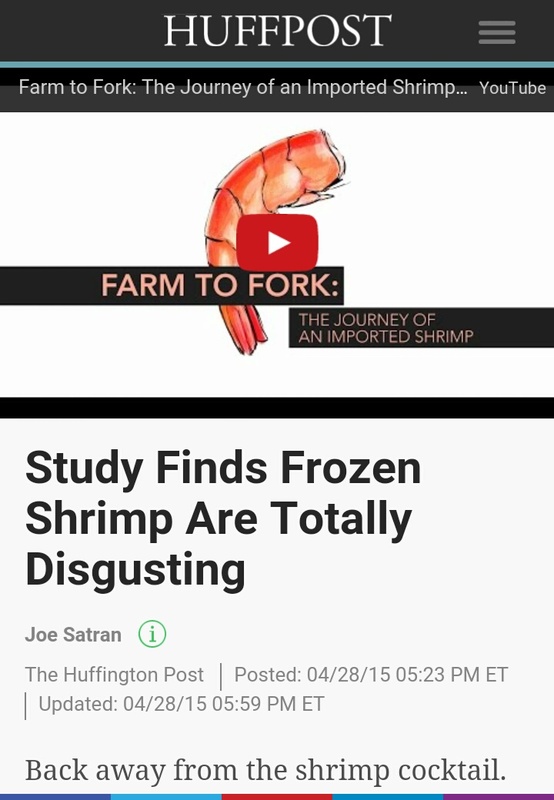 I think farmed prawns are more environmentally sustainable since you can produce a lot more in limited resources. Prawns live in the bottom. Catching prawns in the wild entails trawling; and even though bycatch reduction devices are now used to exclude animals like turtles, there is still massive damage to the seafloor inhabitants. There are more than 200 species of Vibrio. It’s ubiquitous in seawater. You can isolate them from water at the beach. Most are not significant as a cause of disease in aquatic animals. Moreover,only a handful can cause human disease. What I’d be more concerned about is if they don’t isolate anything from raw prawns! Antibiotics residues are the real concern. But this can be avoided by farmers working closely with trained Aquatic Veterinarians on better farm practices and proper use of medicines. Previous Post Don’t ever touch this fish. Next Post A giant sea monster fish that can self-amputate!